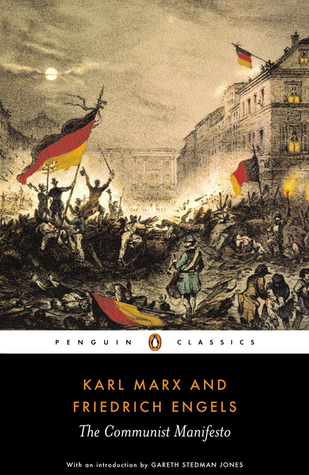 A rousing call to arms whose influence is still felt today, Karl Marx and Friedrich Engels’ The Communist Manifesto is edited with an introduction by Gareth Stedman-Jones in Penguin Classics. Marx and Engels’s revolutionary summons to the working classes, The Communist Manifesto is one of the most important political theories ever formulated. After four years of collaboration, they produced an incisive account of their idea of Communism, in which they envisage a society without classes, private property or a state, arguing that the exploitation of industrial workers will eventually lead to a revolution in which Capitalism is overthrown. This vision provided the theoretical basis of political systems in Russia, China, Cuba and Eastern Europe, affecting the lives of millions. The Communist Manifesto still remains a landmark text: a work that continues to influence and provoke debate on capitalism and class. Gareth Stedman Jones’s extensive and scholarly introduction provides an unique assessment of the place of The Communist Manifesto in history, and its continuing relevance as a depiction of global capitalism. This edition reproduces Samuel Moore’s translation of 1888 and contains a guide to further reading, notes and an index.